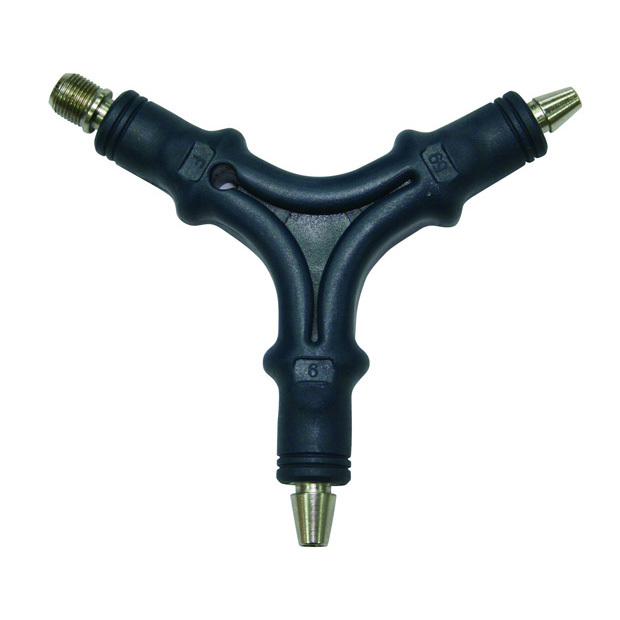 This is a 3 in 1 connector tool which combines 3 different positions "59", "6" and "F". One end can be used to enlarge space between shield and insulation for RG59, another end for RG6, and the other end locks F connector into tool socket and twist it onto a stripped cable end. Position "59" & "6": Use the conic end for flaring the braid of RG59 coaxial cable. Position "F": Simply lock on CATV "F" connector into stripped coaxial cable end.